Attention PA business travelers. Is your destination Central PA or the Harrisburg Pennsylvania area for business? At the Bridgeview Bed & Breakfast our rates are competitive with corporate rates. The difference being, you can relax in a comfortable setting, be it our sitting room, multiple decks, front porch or living room. We have clean comfortable rooms, with private baths, individual A/C, high speed internet with hard wire connections in each room and WiFi throughout the building and grounds. Try something different, and make yourself at home! Check out our reviews on tripadvisor. Call 717-957-2438 or click on our website for rates and room info. 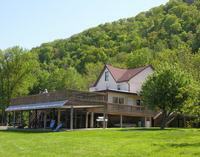 Make The Bridgeview Bed & Breakfast your business lodging destination for Central Pennsylvania!! Also, Check out our Facebook Page for daily updates, pictures and guest comments. The Pennsboro Pumpkin Fest in Enola is celebrating it's yearly community event featuring Crafts, Food. Games, Contests and Entertainment. The event is held in Adams-Ricci Park, 100 East Penn Drive, Enola, PA 17025. If you're looking to enjoy a relaxing day of fun, there's great entertainment and food booths sponsored by local community groups! This year, the event will be held Saturday October 6th from 9:30am to 5:00pm and Sunday October 7th from 11:00am to 5:00 pm. Visit the website Pennsboro Pumpkin Fest to find out all of the entertainment and events. The Luv Gods will be making a special performance at the Gazebo Performance Stage, if you're an avid music fan, you'll really enjoy their music. Not to mention on Saturday, there will be a music and juggling show by Al Grout at the Caboose Plaza Stage. From the car show to the pumpkin carving contest, you're sure to have a great time! Come out and see for yourself. If you're planning a fall getaway in the Harrisburg area or Central PA, make Bridgeview Bed & Breakfast your relaxation destination. Call 717-957-2438 or click today to see our website for more information or to make a reservation. Also, Check out our Facebook Page for daily updates, pictures and guest comments. We would like to honor all of the people who gave their lives on 9/11 and those who have done so since then to preserve our freedom. Take a Ride on The Reading! Take a Ride on The Reading! 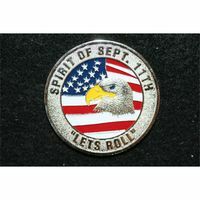 Monday September 10th was an exciting day in the Harrisburg area. Once again a Reading Locomotive plied the rails on the former Reading Lurgan Branch. 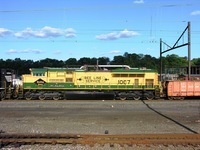 The unit came north from Hagerstown through Harrisburg and into Enola Yard. Norfolk Southern 1067 The Reading Heritage Unit is shown in Harrisburg passing Harris Tower on a beautiful afternoon which highlighted the outstanding Reading "Bee Line" Heritage paint scheme. We cannot thank Norfolk Southern enough for painting up these beautiful locomotives to pay homage to the heritage of their fine Railway. For more information on the Reading Railroad check out The Reading Company Technical and Historical Society. To see Norfolk Southern and Amtrak Heritage Units in action come to The Bridgeview Bed and Breakfast in Marysville PA where we put you right in the middle of Harrisburg PA area railroad scene! Call 717-957-2438 or click today to make your reservation. Also, Check out our Facebook Page for daily updates, pictures and guest comments.